If you ever wanted a gorgeous UHD OLED panel on a laptop, consider your wish granted because Samsung Display today confirmed the development of such a panel for the notebook market. It’s a 15.6-inch OLED panel that supports UHD resolution (3840×2160) that will go under mass production from mid-February. Samsung says it will be targeted towards premium notebooks as the panel offers excellent brightness level that ranges from 0.0005 to 600 nits, improved colour accuracy, 120,000:1 dynamic contrast ratio, adherence to DisplayHDR True Black specification, DCI-P3 colour gamut, and outdoor visibility. 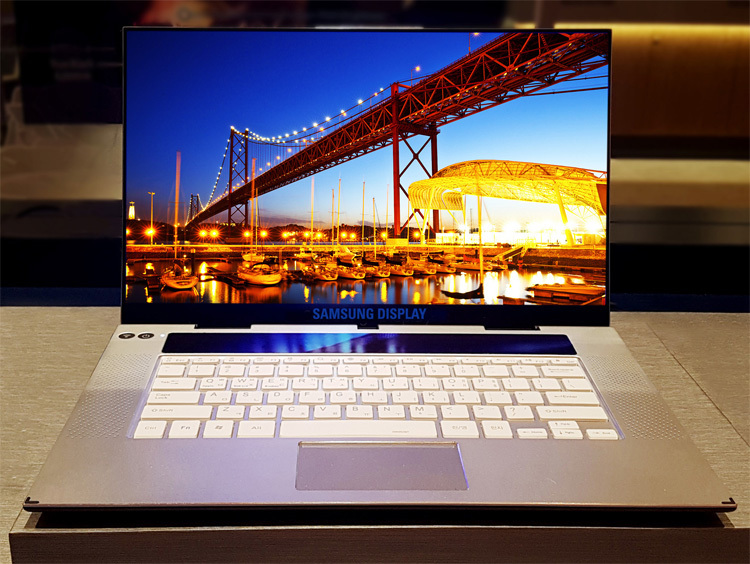 Samsung hasn’t confirmed if this display will find its way to any of its upcoming notebook but considering how Samsung’s focus is on the hardware and components business, Samsung Display could very well be pitching the display tech to other premium notebook manufacturers.